My husband and I have always enjoyed travel. Nothing too extravagant, mostly weekend trips and getaways but its something we looked forward to doing with our children. When our son was about 2 years old we found out he had Sensory Processing Disorder (SPD). Its been quite an adjustment for our family over the last two and a half years but we have come a LONG way. 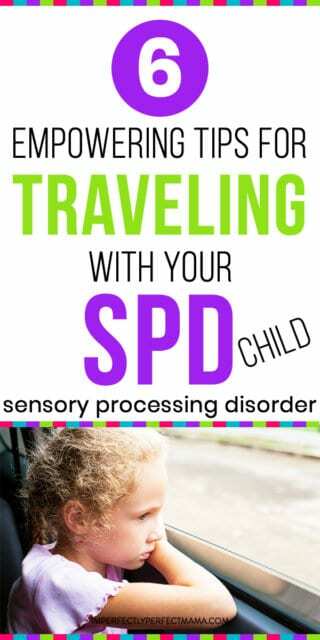 Needless to say, we have continued to travel with our kids but there are a few things that we have learned along the way that are absolute musts for travelling with your SPD children. There is a lot of prep work that goes into any type of travel, be prepared for the prep work to increase. We start “prepping” our son several weeks before we go away. This includes him having a calendar in his room with the dates of the trip, seeing pictures of where we are going, talking about the plan for the trip and how it will all take place and answering any of his (thousands of) questions. We sometimes go as far as to pull up a picture of the inside of the hotel room so he can get used to the idea of where he is sleeping. VRBO’s can be good for this because you get lots of pictures and it can feel more like home than a hotel room. It’s not always possible to stick to our schedule for meals, naps and bedtimes but we really try. We work on the bedtime thing especially. When he goes to bed at a different time it seems to really throw off the next day. Generally, we shoot for some kind of an activity in the morning and something else in the afternoon, but we keep the area around bedtime relatively calm and as close to schedule as possible. In any type of chaotic situation, I always look for escape zones and calm spaces. We have never sat at the actual gate for our flight in an airport. There are just way too many people, I go to the empty one where we have space and its much quieter. We always give my son the window seat and sit next to him so it creates somewhat of a barrier as to what is going on all over the place. For as long as we could we brought his car seat on planes because as soon as he was buckled in, it was familiar to him and he settled quite a bit. The thinking calm idea also includes restaurants and busy streets. If we take the kids out to eat we choose a few places that are close to each other. If one is too loud or crowded we just move right along to the next one. There is no reason for us to even try the busy restaurant as none of us will eat or enjoy it. My son needs heavy work to help regulate his sensory system. All of those suitcases and bags, let them help! Even having his own backpack on has proved to be helpful. If we see him starting to get a little anxious or near a meltdown we can simply say something like,“do you mind grabbing that suitcase for me and brining it over here.” He doesn’t really realize you are doing Occupational Therapy with him in an airport but it works! Letting my son pack his own backpack with a few toys, stuffed animals and games is extremely important. He plans what he is going to bring and he is diligent about packing it up. I think these things give him some sense of comfort and some of his own control over our trip. When we are actually away, he’s so busy with what we have going on he rarely goes into the backpack but its just part of the many things we do to ease the unfamiliar for him. My son thrives on control. He is constantly battling and fighting for control of our home, our day, our life etc. Through occupational therapy we have learned how to not let this happen and how to help him when he feels out of control. Travelling used to bring on big meltdowns. As we have progressed through the years he has come a long way with accepting that its going to happen. We have realized that giving him just a little bit of decision making/control can go a long way when it comes to keeping him calm. An example of this would be if we had planned on going to a children’s museum and a park during the course of our trip, we would let him chose which day to do each activity. It really doesn’t have much of an effect on us but for him he feels like part of it. Now that he is 4.5 if we are deciding to explore a new city we let him research it with us. He looks at the computer with us and chooses what he thinks might be worth seeing while there. This method has increased his desire to travel immensely. One of our first trips after we found out about Sensory Processing Disorder was a few days in Savannah, GA. I will admit we were nervous. We had a newborn and a 2.5-year-old and we had a lot less reasoning power with him at this point. We did a ton of prep work and even worked on talking about the trip while in OT. I will never forget my son’s comment when we walked into the hotel room (which looked exactly like the pictures we had researched online). He went through the door with his hand in mine, looked all around and said, “ok so this is different but its ok.” That’s all we had tried to accomplish during the entire process, its different but its ok. 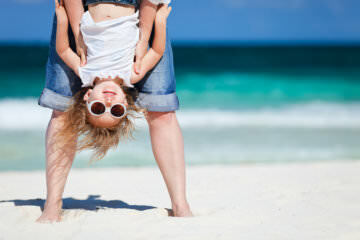 I hope our tips can help make travelling with our SPD child a little simpler and a little more fun. 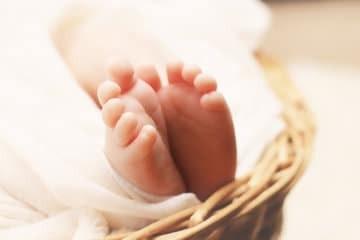 If you would like to read more of our discoveries about parenting our child with SPD please take a look at our other posts here. Hi I'm Britt and I blog over at The Ankle Biters. I'm a work from home/homeschooling Mom to a 2 and 4 year old. My blog is all about Homeschooling, Sensory Processing Disorder, Small Business Ownership and Parenting. You can also find me on Pinterest, Instagram, or Facebook!